But then again, what if he turns out to be a carbon copy of Ramos' developement. And bear in mind, these developemental success are always the result of a coach who knows what he's doing, ala Capello. Mourinho is a coach that knows what he's doing, he'a developed countless unkown talents into stars. And as far as we know, Mourinho is backing this move. do you really think that Mourinho will trust a 18yr old that had only 1year in Ligue 1, and who is still developping and doesnt even know what's his best position is between CB and DM? So, Mourinho like to rejuvinate players who are considered over-the-hill, and he loves to create stars out of young talents. I mean, these are players who have been put on the map thanks to Mourinho, in some cases entirely. So, I would assume that this 18 year-old is at least one of Mourinho's next "player developement projects"
Madrid already have 3 world class centre backs in the form of Pepe, Carvalho and Ramos. Not to mention, Garay and Albiol can be trusted to a very large extent. So Raphael will develop in the wings, or maybe on loan back in France (very likely). Yeah. As a french football fan, i'm really not happy about this. Even in Paris, he would've had to fight to start... but he had a good chance there. At Madrid, 100% bench. He's not even in the top 4 CBs in Madrid at this time. Such a bad, bad decision on the surface. Maybe he'll just explode. But when you manage your career, you just cannot take such a big and unnecessary risk. Don't be ridiculous... Castilla?? That's just insane. He's a League 1 wunderkid that was slated to start for PSG and many other international clubs. Castilla is like 3rd division in comparison. It would be a total waste and, frankly, an insult. A loan to a lower end team in La Liga or League 1 would be a step down for him too... but at least he'll face some good competition. Just a bad decision for him, although i hope it works out. Loaning him out is a very likely option. I'd love to see him playing at, for example, Villareal... where he plays at a high-level of spanish football and gets some european experience as well, and at the same time is surrounded by experienced defenders. Not full time Castilla, he should be switched between Castilla and the first team. Barcelona does the same (Thiago etc.) and RM should have done it with Canales. Granted, Barcelona B is different than Castilla, but he could still develop in Castilla. I'd prefer if he was loaned out, but it is a much better option than letting him rot on a bench for the next couple of years. Dude.. he was a star CB in League 1 the second half of last year. I only rated Sakho and Rami as better in terms of french players. Even Barcelona B would be a slap in the face for him. He's a top league player now. Thiago and the other guys are just raw talents... completely unproven. Varane has proven he belongs. He just needs to keep developing as he is not Madrid quality yet. I agree with you - I never said Castilla is the best option, I PREFER him to be loaned out if he has to come to Madrid anyway (we'd better just give him some years to develop at another club anyway), but if he isn't loaned out, we should at least give him time at Castilla, not make him another Canales or Pedro Leon etc. who doesn't play at all. That way he is bound to become one of those young players who seems like a great promise, and probably would have been if they had time to come to fruition at a top-team in a lesser competition (France, Portugal, Netherlands) instead, but then end up at some lower league team in Spain or England or something. Such a waste. Yeah. I agree. I just hope this doesn't play out like it usually does with Madrid. Great signing of course, but what's more important is the aftermath. Hope he gets loaned out and doesn't spend a season on the bench. With the eminent sale of Lass, the signing of Varane seems alot more clear, he can fill in those minutes fine. People forget he is as good in front of the defence line as he is at CB. Because of his tactical awareness even at a young age and versatility he will get alot more playing time than most people will think. Seeing if and when Lass leaves, our only true DM destroyers would be Pepe and Varane. 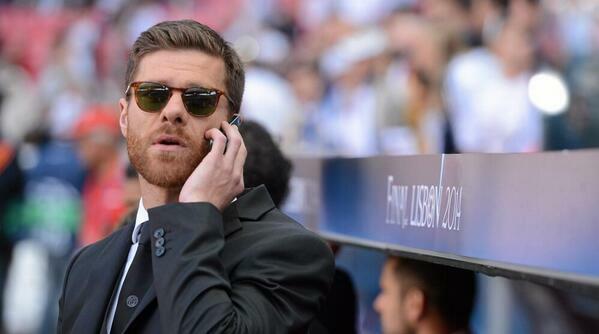 Xabi is a DM but plays in a different manner, much like Gago. Khedira and Sahin are B2B players. he is 18, he is not even a bx to box, he is not yet ready to start for real, even mentally it's gonna be a crushing effort. "Some believe that Raphael will not play there. I can tell you he will not go to Real Madrid to repaint the changing rooms! Raphael is intelligent, everybody knows it. I want to emphasise the speaker was exceptional, in this case Zinedine Zidane." Is that from his dad? St_Nick09_of_Goal wrote: Is that from his dad? If hes willing to play destroyer he will get minutes no matter what, at the end of games or when the need arises. As for becoming a permanent starter its hard to say. I feel he is better than Albiol and Garay. If Coentrao does not end up coming and Ramos continues on the right then he will understudy Carvalho and I do not think it would take him very long to impose himself at all. Why does the thread title say official? This is by no means official and he has not signed yet. It might be inevitable but it's not official. Hopefully he stays in France for a while. We don't really have any room for him at the moment. IF Coentrao comes, never. He will not displace Pepe or Ramos in the next 2 years and will ask for a transfer. He's not technically good enough to play as a DM for any top team, let alone Madrid. He's fine in terms of the defensive assignment... but is very raw in terms of the passing and link up required of a DM mid. Pepe is better than him as an emergency DM. By the way, the only time we play a DM position is in the 4-3-3. In the the 4-2-3-1, both midfielders are asked to go b2b, which is why Lass struggled... and Lass is miles ahead of Varane technically. We'll see. I think it's a bench warming situation unless he makes drastic progress or Coentrao doesn't get signed. If we loan him for the next two seasons, it's a good thing imo. St_Nick09_of_Goal wrote: If we loan him for the next two seasons, it's a good thing imo. I agree, looking forward to this kid. Maybe he is our replacement to Lass and Coentrao is still our RB target?